If there’s one industry that benefits greatly from mass texting, it’s retail. Mobile phone users are about to reach 4.77 billion in 2017. In the US, not only does the vast majority of Americans own a mobile phone, but they also spend 5 hours a day on their device. For retailers, this means two things: that their existing customers and potential clients are on their mobile phones and they can use this medium to reach a wide audience within a short period of time. It is also the fastest way to reach out to your customers and make them respond to you because they tend to open text messages instantly and more frequently compared to other mediums like email or online ads. Why do retailers use SMS? It increases awareness, generates leads, improves customer service and ultimately increases profits. You can quickly automate business processes like order confirmation or shipping updates. 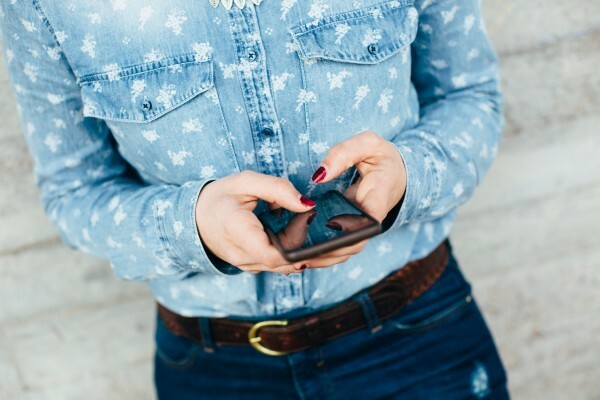 Here are five ways to use text marketing for retail. 1. Update customers about new arrivals. Customers, especially your loyal followers, wouldn’t want to miss out on your latest products or services. Update them about new arrivals. You can quickly send a text inviting them to your store to see your latest collection. Cosmetic company Kiehl’s for example used online texting to send location-based text alerts to customers when they were located near one of their stores. According to a Mobile Marketing Association report, 73% of the respondents purchased from the store after receiving these text alerts. 2. Send information about purchase and delivery status. If your customers are ordering online, they want to get assurance from you that they’ll receive the product in great condition and within the expected time. With SMS, you can send a confirmation right after they purchase. Updating them about the status of delivery even before they ask you eases fears surrounding online shopping and builds trust with customers. 3. Build your text or email list. If you want to know how customers perceive your products or services, our online texting service makes it easy for you to get feedback. You can get insights by sending a link to a survey via text. SMS is the fastest way to let your customers know about your new or ongoing promos. When you have information about their location, age, preferences, and other details that may influence their buying decision, you can use it to craft offers that will be hard for them to resist. When choosing a mass texting service for your retail business, choose one that allows you to do these things above and more. You can do a lot of things with online texting services, such as drip campaigns, message personalization, scheduled messages, text to win contests, and many other activities for marketing success.